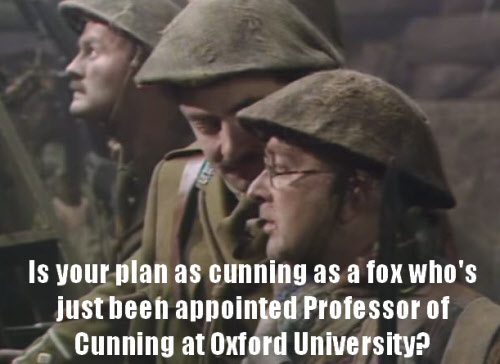 Blackadder T-Shirt Giveaway – That sounds like a cunning plan! Hi everyone! It’s official… we are running a giveaway for one of these cool T-Shirts! No matter where you are in the world, you have the chance to win one. Giveaway is now CLOSED. Don’t worry, we’ll run one in a months time! Entering this giveaway is so easy even Baldrick could do it! 2. Like this post on Facebook – Blackadder Giveaway! A lucky winner will be made by a random draw, and notified by email. We’ll also post the result up on the Facebook page! The winner can choose from the male or female version of the Blackadder T-Shirt. The giveaway opens on Saturday 13th May 2017 and closes at Saturday 20th May 23:59 2017. Entrance to the giveaway is free, and no purchase is needed. Giveaway closes on Saturday 20th May 23:59 2017. A winner will be selected at random, and notified within 7 days of the giveaway close. If the winner does not respond by email within 4 days, a replacement winner may be chosen in their place. Prize is non-transferable and non-refundable. By entering, the entrant agrees that the information entered may be shared between Blackadder Quotes and partners. Automated or ‘bot’ entries may be voided. Entrants to the competition agree to be bound by these terms and conditions. Good luck out there everyone! Captain Darling – Funny name for a guy isn’t it?